Get your free chapter on Governance in the Resilient Organization from the book Principles and Practice of Business Continuity Tools and Techniques, by Jim Burtles. 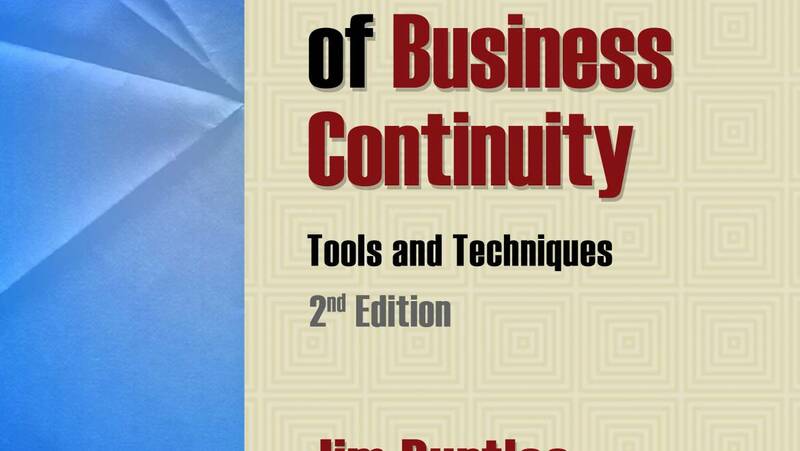 In the first 15 chapters of Jim Burtles’ book, you learn how and why you might approach the development and delivery of a successful and effective business continuity (BC) program. This process has involved exploring the tools, techniques, and products. By now, you should be in a position to practice this discipline in a professional manner, and this book has focused on the detail level at which BC is expected to operate and prove to be beneficial. Now, in this chapter, intended for both the experienced BC practitioner and a person entering the profession, you have a chance to look upwards and outwards to see where BC fits within your organization’s hierarchy and how it might filter upwards and penetrate downwards, as BC is integrated into your corporate culture. Develop resilience as an integral part of the culture. This comprehensive yet practical business continuity textbook is taught in colleges and universities worldwide. It’s your best resource to learn business continuity management. Included are extensive downloadable resources and tools, and extensive instructional materials (on approved course adoption). Includes Downloadable BUSINESS CONTINUITY TOOLKIT. Extensive INSTRUCTIONAL MATERIALS available (upon qualification). Endorsed by the Business Continuity Institute. 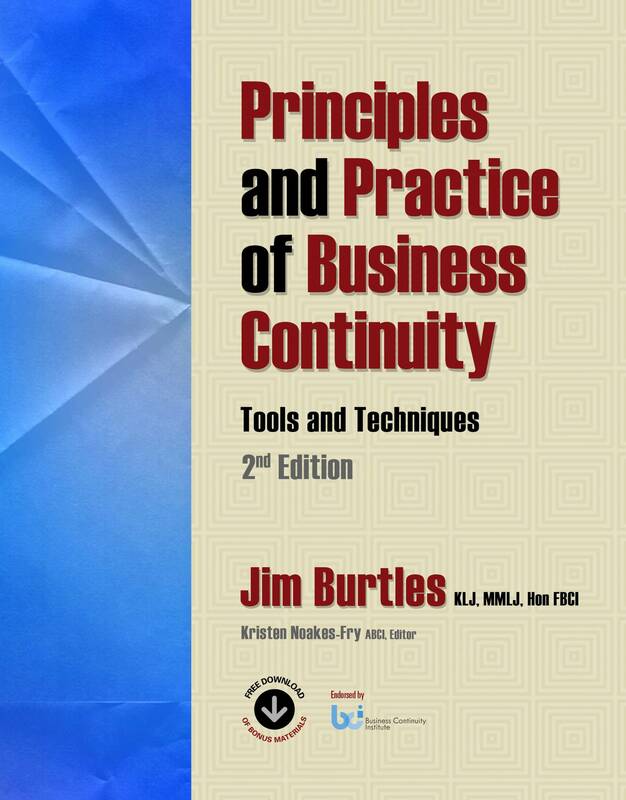 Click HERE to receive your free chapter from the book Principles and Practice of Business Continuity Tools and Techniques, by Jim Burtles! If you prefer, you can preview and purchase the complete book HERE.